Walter Jetton prepared this recipe for Beef Brisket for President Johnson, foreign leaders and dignitaries who attended White House functions. 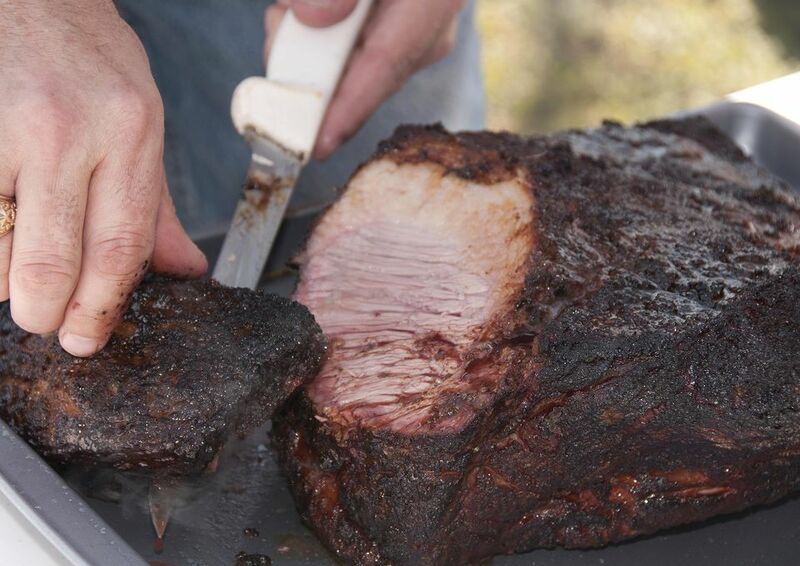 This barbecue beef brisket is not cooked in a smoker, but braised in a black pot. Walter Jetton was one of the old style Texas barbecue cooks that didn't have a smoker. He cooked everything chuck wagon style on an open pit over a hardwood fire. If you do not have access to a black pot, by all means use a dutch oven for this dish. 1. Put the bay leaves in about a cup of water and bring to a boil. Let it simmer 10 minutes or so, then remove the leaves and add the bay tea to the bone stock, along with the salt and pepper. 2. Put the brisket in your Dutch oven and add the stock mixture to cover it about a quarter of the way. Cover and cook over the fire, turning the brisket about every half hour until it's done. (This can be determined by forking). Mop it and lay it on the grill to finish cooking, being sure to turn it and to mop it every 20 minutes or so. 3. To make a good natural gravy, add a little Worcestershire sauce and maybe a dash of chili powder to the liquid you cooked the brisket in. You can also serve this with barbecue sauce and you favorite barbecue inspired side dishes.